Few words better characterize today's financial markets than uncertainty. We believe investors need to adjust their expectations in order to adapt to the road ahead. Read our whitepaper to find out what critical mistakes investors should avoid. Investment Advisory services offered through Regal Financial Group, LLC, an SEC registered investment advisor. 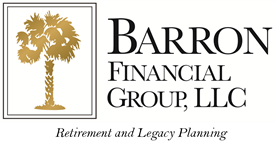 Barron Financial Group, LLC is independent of Regal Financial Group. Hyperlinks on this site point to websites not affiliated with Regal Investment Advisors or Barron Financial Group. These links are provided as a convenience only. Regal Investment Advisors and Barron Financial Group disclaim any responsibility for the accuracy of the information on those other websites.